Located downtown in the Historic Union Pacific Building, the Denver ChopHouse & Brewery brings you a comfortable throw-back nostalgia coupled with a custom menu, generous portions, and an approachable, upscale & contemporary style. Ideal for cocktail receptions, business dinners, luncheons, fund-raisers, wedding events, celebrations, and more! Come try our extensive wine collection, handcrafted beer brewed on-site, weekend brunch, happy hour and great menu. 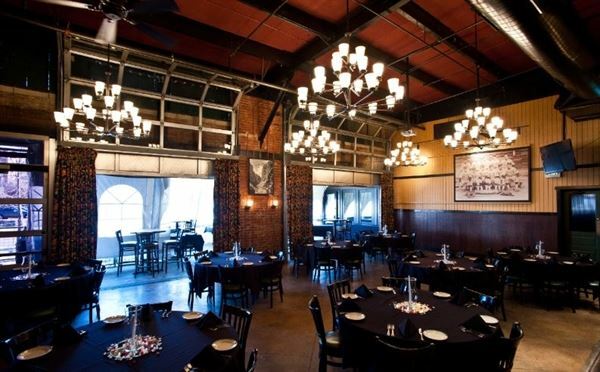 The Box Car is a glass enclosed dining room on the eastside of the Denver Chophouse & Brewery. It has a tremendous view of Denver's skyline as well as the majestic Coors Field. The Box Car can accommodate 40 to 60 guests for lunch or dinner events and up to 75 for cocktail parties. Our largest banquet room is located in the back of the restaurant, appropriately named the Caboose and has its own private bar. The Caboose is available for groups of 130 guests for dining and up to 150 for cocktail parties. Whether you want to enjoy an intimate lunch or dinner with family and friends or entertain your business associates, our exclusive private party room seats between 20 to 40 guests for lunch or dinner parties.